Vacation rental cottage. Sleeps 8, 4 bedrooms, 1.75 bathrooms. No pets allowed. Perched amongst the dunes of highly acclaimed Highland Park Association, the views of Lake Michigan will drain every bit of stress remaining and leave you ready to enjoy a fun filled vacation. Rare for the location of this home, enjoy the convenience of the garage and on-property parking! You will find the kitchen fully stocked with everything you could possibly want to cook delicious meals right from your rental home. 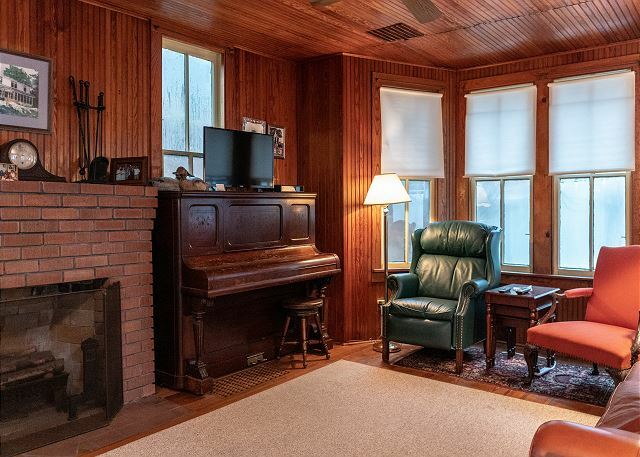 You will enjoy the coziness of this vacation rental home and even nostalgic enough to gather around the piano for some good old fashioned entertainment! After a long day at the beach, the big comfortable overstuffed leather furniture will invite you to relax and enjoy your evenings surrounded by family and friends. The kitchen table provides a great place to play family games as well as eat together. 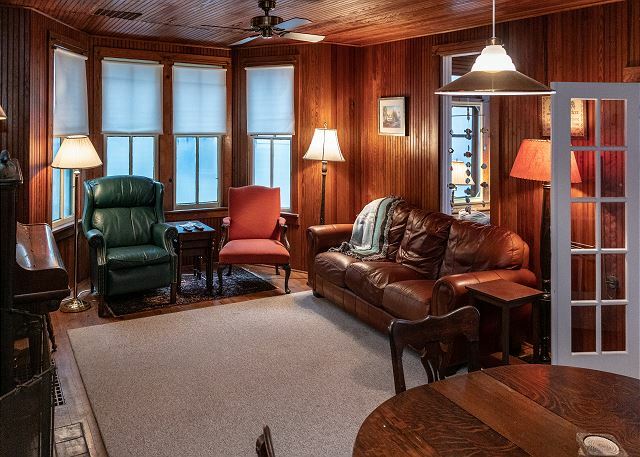 Open the windows and let in the fresh breezes coming off Lake Michigan-with it's beautiful views, the front porch will be your favorite place to enjoy a morning cup of coffee. Enjoy the best that Grand Haven has to offer in historic Highland Park! A few blocks from downtown and a stone’s throw away from world-class beachfront, this cozy cottage will become your home away from home. Fire up the grill and enjoy a drink with friends on the large deck overlooking Lake Michigan, or visit the boardwalk. Need a day off from the beach? Head to the complimentary Highland Park Tennis Courts; just a two-minute walk away. You will feel transported back to a simpler era when you enter Point Comfort. This classic Grand Haven beach cottage has all the amenities you expect while keeping the charm of a cottage. The private deck is the perfect place to start, end, or spend the day with Lake Michigan views and lake breezes. The enclosed porch lends itself to relaxing with a cup of coffee in the mornings and enjoying beautiful sunsets in the evenings. There are beautiful Lake Michigan views from the property and the Grand Haven State Park Beach is just across the street, an easy and quick walk. Enter through the enclosed porch where you will find comfortable seating for relaxing and a table with four chairs for breakfast with a view. Continue to the living room where you will find plenty of room for all to sit and enjoy each other's company, complete with a piano and a flatscreen tv. Also located in the far end of the living room close to the kitchen is a dining room table with seating for four. The kitchen is completely stocked with everything you will need to cook right at home including a dishwasher to make clean up a breeze. Upstairs you will find four bedrooms, each with a full bed. A classic cottage bathroom is located upstairs with a vintage claw foot tub. 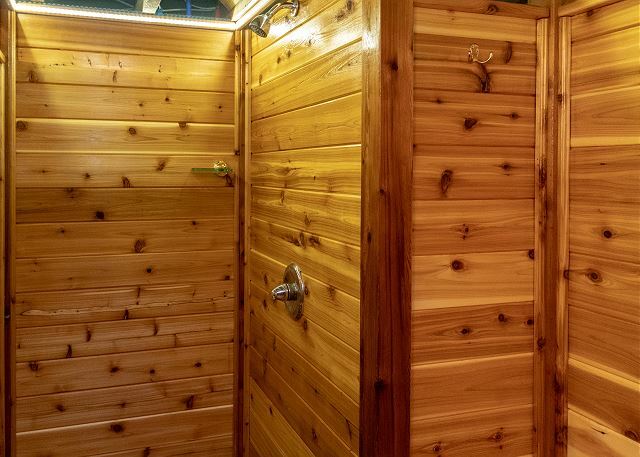 Downstairs in the basement you will find a newly-installed cedar enclosed shower and an additional toilet room. Please keep in mind this is a classic cottage with no A/C. There are portable fans in the property to use and all the windows open to take advantage of the breeze coming off of Lake Michigan. This condo sleeps 8. Bed and bath linens are provided. 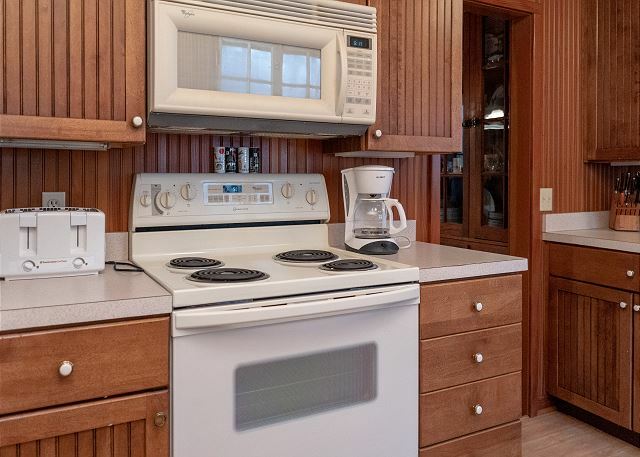 The kitchen boasts all major appliances and is fully stocked with dinnerware, utensils, and pots and pans. There is a dining table in the enclosed porch with 4 chairs and an additional dining table with four more chairs in the living area. A rarity in Highland Park, Point Comfort has its very own open garage with space for two vehicles. There are also two dedicated spots labeled "Swain" in the lower parking area and upper lot. The Grand Haven State Beach is directly across the street with easy access via a stairwell that cuts right through a dune. The trolley makes stops just down at the entrance to the State park and will bring you back to Chinook Pier and the downtown. It runs every 30 minutes. 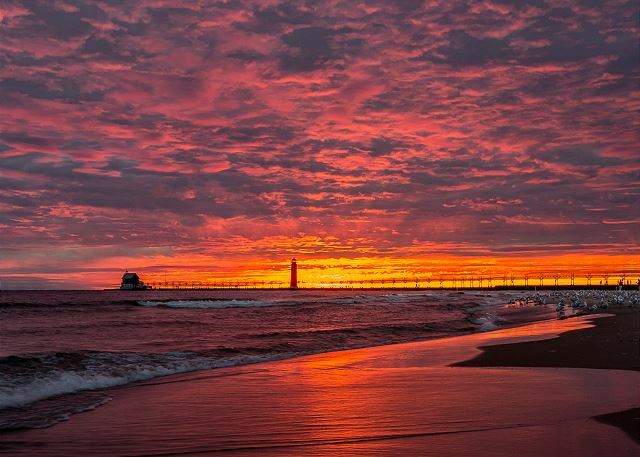 In addition to the obvious draw of the beach, Grand Haven has a beautiful downtown shopping area with restaurants, newly developed waterfront stadium, boardwalk along the channel to the Grand Haven lighthouse, charter fishing, mini-golf, splash-pad and of course lots of options for ice cream!